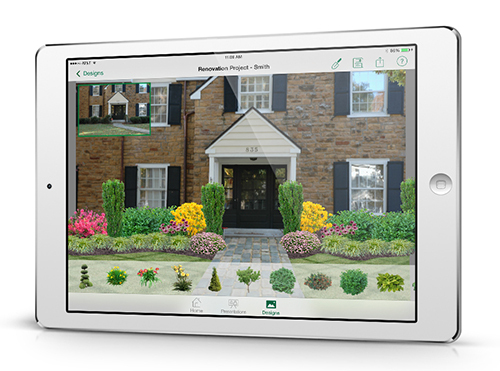 What’s new with landscape design software. To land new projects, landscape professionals want to pull out all of the stops—from providing timely estimates to designs that wow. 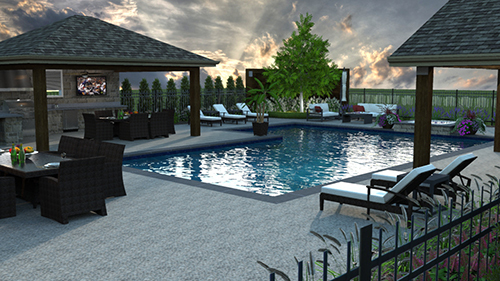 One tool that can help in the process is landscape design software. Here are trends, new features, what’s coming and how the industry is adapting to design software. For many landscape contractors, using design software is about increasing their productivity and helping clients visualize their projects—and software trends reflect that. Mobile options are popular with both contractors and their clients, says David Sloan, marketing director for PRO Landscape by Drafix Software. They allow professionals to create and add on to designs while on site. “They aren’t being tied to a desktop anymore, but they still have the option to use their desktop,” Sloan says. Contractors are also learning how to create outdoor living spaces that both impress the customer and ensure they’ll make a profit. “One of the biggest trends is trying to help landscape contractors design for profitability,” says Joe Salemi, product marketing manager at DynaSCAPE Software. Across the board, design software databases continue to expand to include more plants and materials. There also have been several software-specific updates recently. DynaSCAPE’s software now allows users to ungroup plants. Users also can replace grouped 2-D symbols with a 3-D object, which was a limitation before. A new feature for PRO Landscape lets users search for plant material in the database by zone or color. Also, they can check boxes to find deer-resistant and drought-tolerant plants. Contractors like Scott Cohen, owner of residential design/build firm The Green Scene in Chatsworth, Calif., are discovering other new tools to help with the design process. 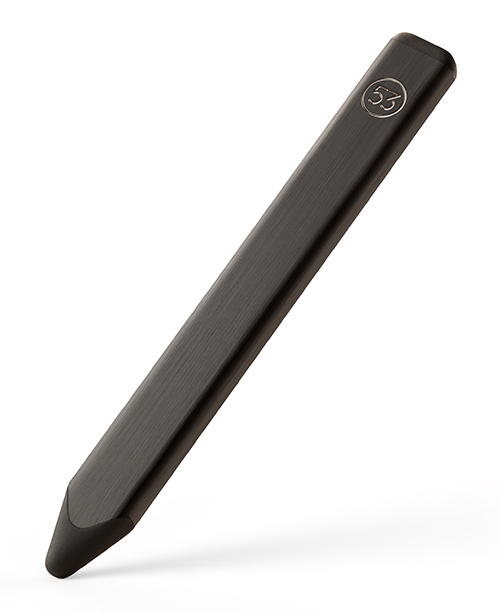 For example, Cohen uses Pencil by FiftyThree, a stylus-like device used with an iPad, in addition to his CAD programs. Working with the Paper app, Pencil allows users to sketch, outline, write, color, mix colors and erase. The Pencil tool looks similar to a carpenter’s pencil and costs about $50. “It’s great to be talking to clients and just be able to sketch something out for them,” says Cohen, who mainly uses the tool while in the field. He’ll also attach these drawings to proposals. Going forward, contractors can expect to see more mobile options and the move to 3-D renderings. “In the next few years, 3-D designs are going to be the standard,” Salemi says. That trend is gaining momentum, in part, because of consumers. Designer Susan Cohan, APLD, principal of Susan Cohan Gardens in Chatham, N.J., uses SketchUp, which she says helps with 3-D modeling. Her clients are mainly high-end residential. Clients are buying into—and expecting landscapers to use—design software. So, it’s imperative contractors embrace technology to stay current with their customers. Overall, the green industry is adapting to the new technologies pretty well, manufacturers say, and the number of landscape contractors doing hand drawings continues to decrease. The biggest hurdle for them is showing some professionals that the value of using design software outweighs the initial learning curve, Sloan says. Salemi says he sees both younger and older designers moving toward using software. “Students are learning it in their landscape programs, and the older demographic is asking how long it will take for them to learn the software,” he adds. Before buying design software, Sloan encourages landscapers to decide whether or not they’re willing to learn and implement it properly. One California landscape design/build contractor is taking his design work to new heights. Scott Cohen, owner of The Green Scene, makes a good point about landscape design: “Although we draw from the sky view, we rarely see the property from that view,” he says. So, the author of design and construction books like “Outdoor Kitchen Design Workbook,” “Poolscapes,” “The Candid Contractor” and “Outdoor Fireplaces and Fire Pits” started using drones on his projects about a year ago. He initially used the drones to photograph completed projects, but he found they were also useful as mapping tools in the beginning of the project. “You can see grade changes, sun and shade changes, the terrain and get a better feel for it,” Cohen says. He uses a drone with an attached GoPro camera and gimbal, which keeps the camera steady. “It’s expensive, but necessary,” he says, adding the equipment costs a few thousand dollars. He also uses a point-of-view screen, which is about the size of an iPhone. The screen attaches to the remote and shows what the drone’s filming. Drones aren’t cheap, so he encourages operators to practice running them in a grassy area or find someone who is good at video games to control them. “They’re definitely not a toy, and they don’t swim well,” says Cohen, who has crashed two drones. He doesn’t take the drone more than 50 feet up in the air, and he’s careful to film only his client’s yard. In addition to video footage, he also extracts still photos from the drone. “It’s one more tool for the trade,” Cohen says. Dowdle is a freelance writer based in Alabama.